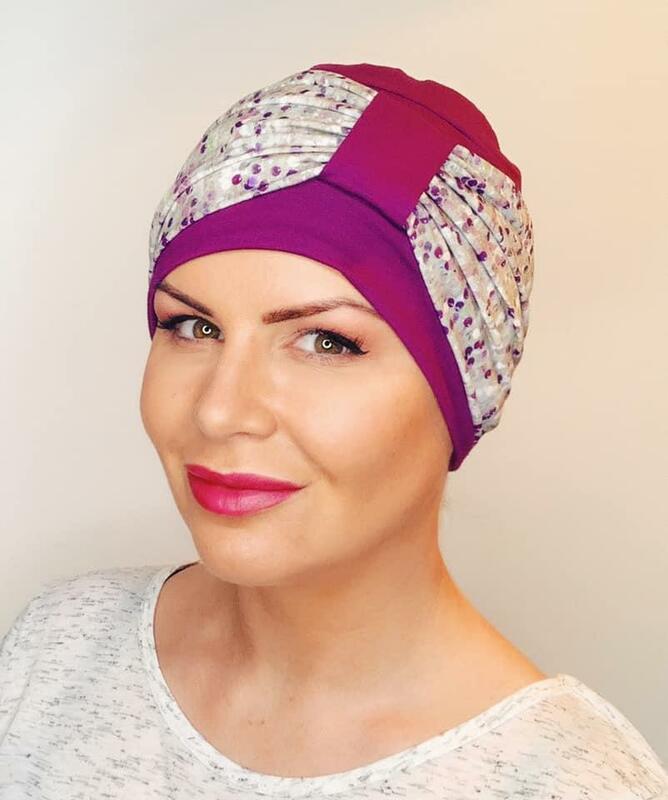 Beautiful bamboo hat for hair loss which creates volume and height at the head to avoid that "flat" look. The hat is designed with mounds of material which is gathered around the head. Bow detail can be worn to the front, side or back making this extremely versatile. Using the finest bamboo material this hat not only looks good but feels amazing on the head.